The pictures below speak for themselves. 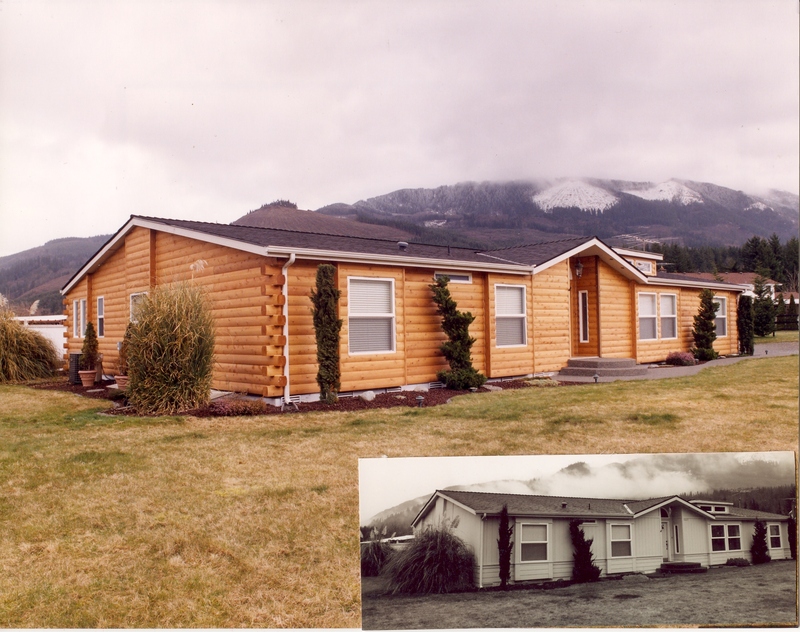 Modulog log siding replaces the standard profile of a manufactured home with the look of a beautiful, authentic-looking log cabin home. In our photos, you can see the patented, crisscrossing solid log corners that create the appearance of rustic, old-fashioned log cabin homes. 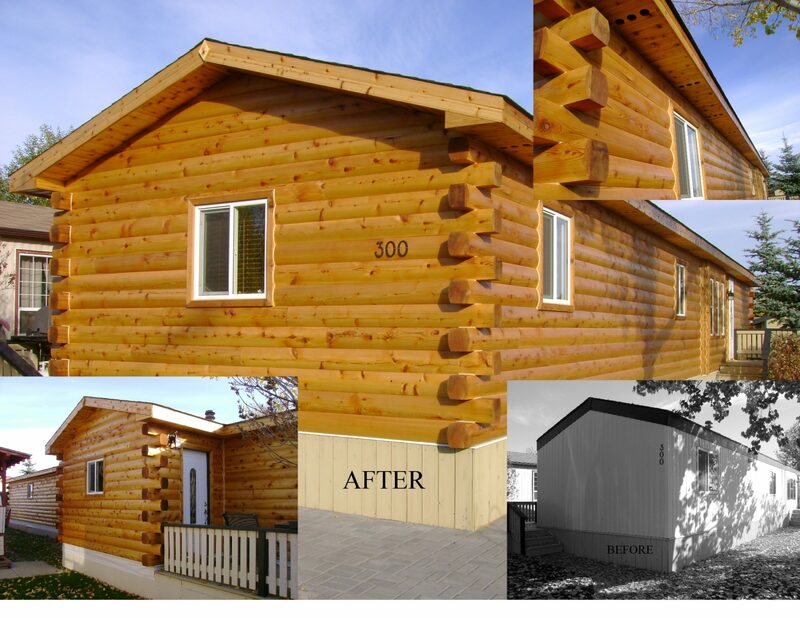 Modulog exterior log siding works well on any factory-built home. Our log siding is manufactured from Western Red Cedar and the grade is select tight knot(STK) and all pieces are kiln dried(KD) before precision machined for a weather-tight fit. 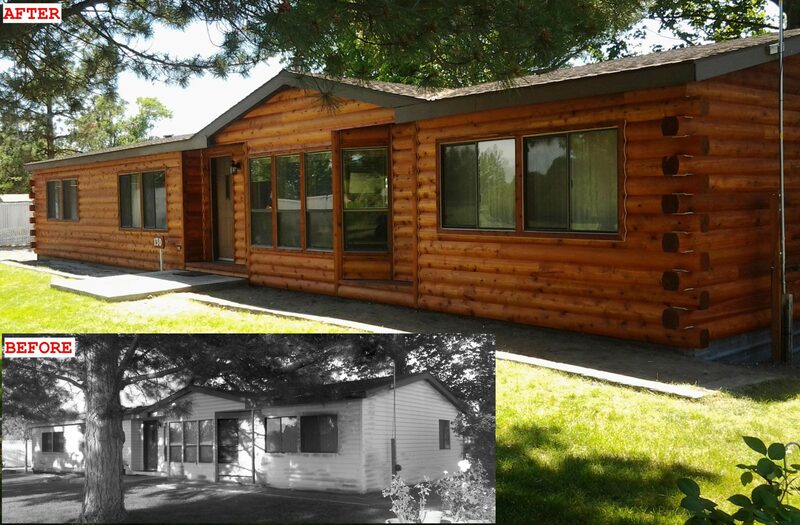 Install it right over your existing manufactured home siding to add even more insulation value on top of what is already designed into the structure's wall system. 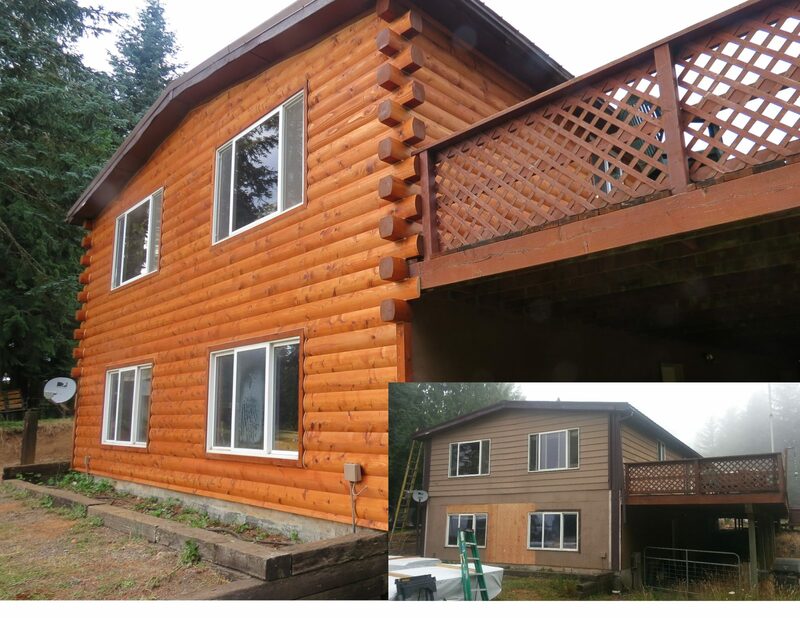 We make it easy to install Modulog log siding. 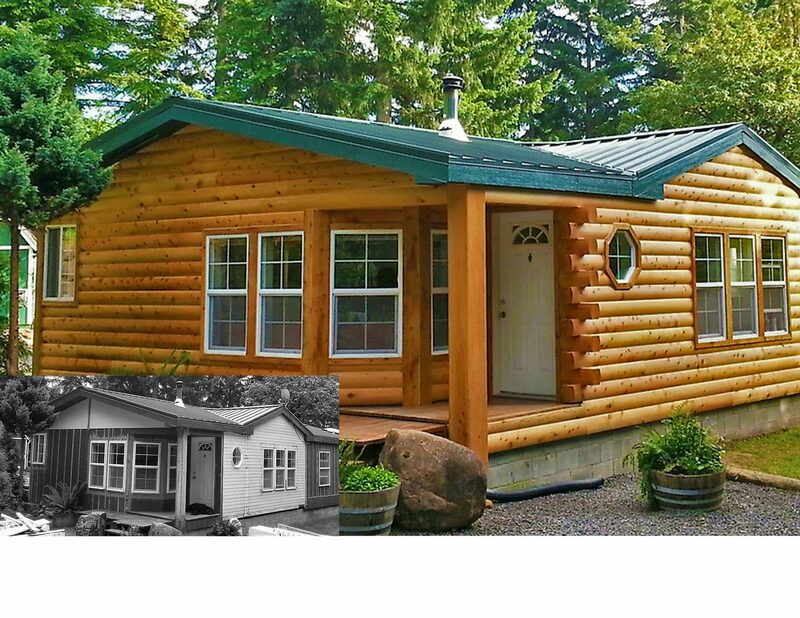 Your log siding conversion package comes with thorough installation instructions that require only ordinary carpentry tools. Whether you decide to save time by hiring a contractor or elect to do the job yourself, the dramatic improvement to your home's appearance and insulation is well worth the effort.